The contest is held on Simformer Business Simulation, a powerful realistic online platform. The key features of the platform are a real-life competitive environment and a wide range of management functions and business processes. 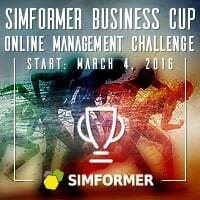 Simformer Business Cup is an international management and entrepreneurship contest in highly intensive format. The contest consists of two stages. Each stage lasts only two days. The simulation has hourly game updates. During this period, the contestants have to prove themselves to be competent managers as well as strong fighters, just like successful managers should be in real life. The contest is held in Simformer Business Simulation, a powerful realistic online platform. The key features of the platform simulations are a realistic competitive environment and a wide range of management functions and business processes. Partners, customers, suppliers and competitors are not computer-generated, but real players. Manage all major business processes of your stores - pricing, advertising, supplies, HR. Analyze the competition and make decisions in terms of price levels and the range of products in each store. Expand your stores and make them the most popular in the region, considering the level education and welfare of the population. Optimize and expand your businesses. The contestants, who were able to generate positive profit at the end of the game, proceed to the next stage of the contest. The contestants will have to lead the corporation, which consists of several subdivisions of different specializations, out of financial crisis. develop and implement a business development plan. Maximum revenue — a virtual company with cumulative revenue at the time of the contest stage completion. Maximum profit — a virtual company with cumulative profit at the time of the contest stage completion. 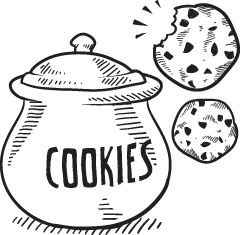 Maximum assets — a virtual company with the biggest number of assets at the time of the contest stage completion. Maximum performance indicator - a virtual company with the highest performance indicator at the time of the contest stage completion. The contest organizers will award the contestants, who will choose to cover the contest in their internet sources. A special «Best Reporter» award will be given out at the end of the contest. The winners of Simformer Business Cup will be awarded with valuable prizes from Simformer platform for business simulations.